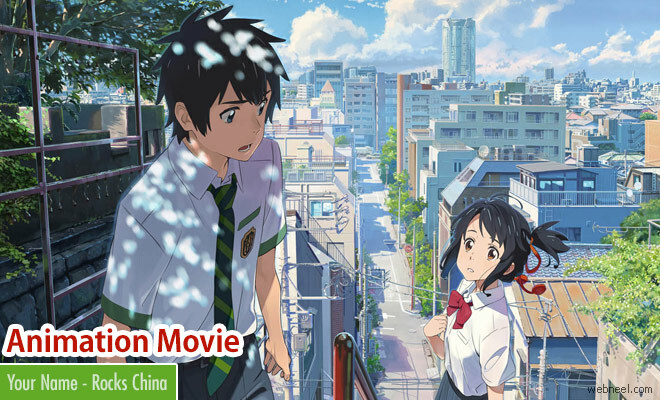 'Your Name' is a youthful Japanese animation feature film which is a huge hit in China. The movie was written and directed by Makoto Shinkai. It's a storybook adaptation which goes by the same name and written by Makoto Shinkai. The tale revolves around two young high school students(Mitsuha and Taki), who met in their dreams and one night swap their bodies and try to live as the other person. It's a 2D movie with involves a lot of CG in the back ground. The characters are all traditional anime characters, which are quite popular in Japan. According to Director Shinkai, "The fantasy is a starting line for them to meet as normal people and begs the question: Why do people meet? I want to prompt people to think about that in terms of those around them, whether it’s romantically or not". The story is very touching since the high school friends have met only in dreams and even if they come across in real life, they will not be able to recognize the other person. Taki, helps Mitsuha to save her village from comet destruction. It's youthful fantasy romance and the storyline is quite fascinating for all young and adult movie fanatics.